Pusarla Venkata Sindhu is an Indian badminton player. On 10 August 2013, Sindhu became the first ever Indian women's singles player to win a medal at the World Championships. On 30 March 2015, she received India's fourth highest civilian honor, the Padma Shri. On 18 August 2016, she became the first Indian woman to reach Olympic finals after beating Nozomi Okuhara of Japan in the semi-finals of Rio Olympics 2016. She broke into the Top 20 in the Badminton World Federation rankings released on 21 September 2012. P.V. Sindhu's father Ramana is himself an Arjuna Awardee. Ramana represented India in Volleyball. Pusarla Venkata Sindhu (P.V. Sindhu) was born on Jul 5, 1995 in Hyderabad to parents father Pusarla Venkata Ramana (dad) & mother Pusarla Vijaya (Mom) – both former volleyball players. PV Sindhu father Pusarla Venkata Ramana also won the Government of India-instituted 2000 Arjuna Award for his sport. P.V. 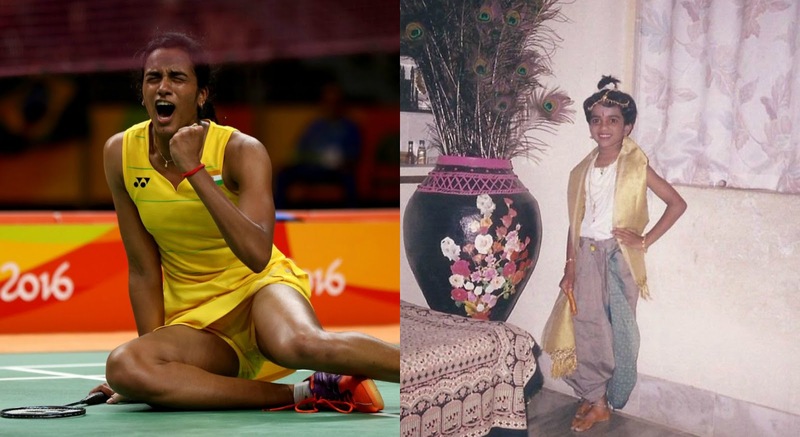 Sindhu have an elder sister named Divya Pusarla. P.V. Sindhu did her schooling from Auxilium Convent High School, Hyderabad & St Anns college for girls. On 18 August 2016 Sindhu beat Japanese badminton player Nozomi Okuhara in Rio Olympics 2016 to enter into the finals of Badminton singles and assuring India of a medal in badminton. This victory was considered a historic moment for India as this was the first time an Indian had entered into the finals of badminton in Olympics.